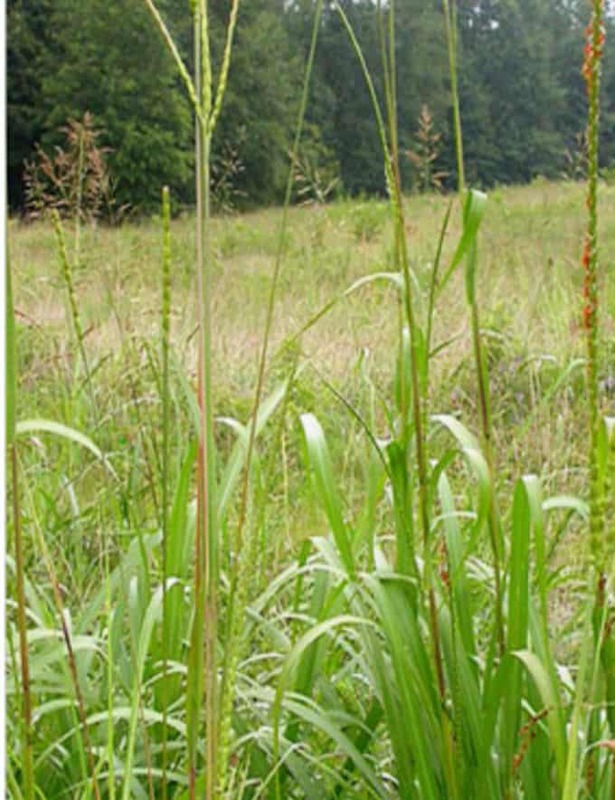 Eastern Gamagrass is a native, perennial, bunchgrass known for its production of high-quality livestock forage. 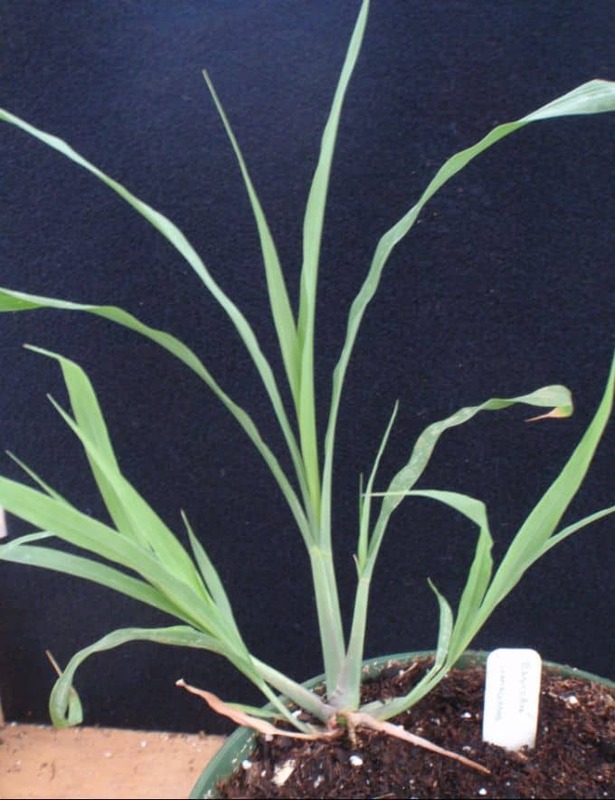 It is a distant relative of corn and is native to most of the eastern half of the United States, but performs very well in fertile soils in the Central and Southern Great Plains. It ranges in height from 4 to 8 feet tall and reproduces by both seed and vegetatively from thick, knotty rhizome structures. Eastern Gamagrass is a monoecious species with separate male and female flowers. The seed unevenly matures and is prone to shattering. Seed production is generally quite low. Gamagrass is best planted as a monoculture when utilized for grazing because of the characteristic high palatability can easily lead to overgrazing in mixed species stands, thus the Gamagrass begins in decline and disappear. 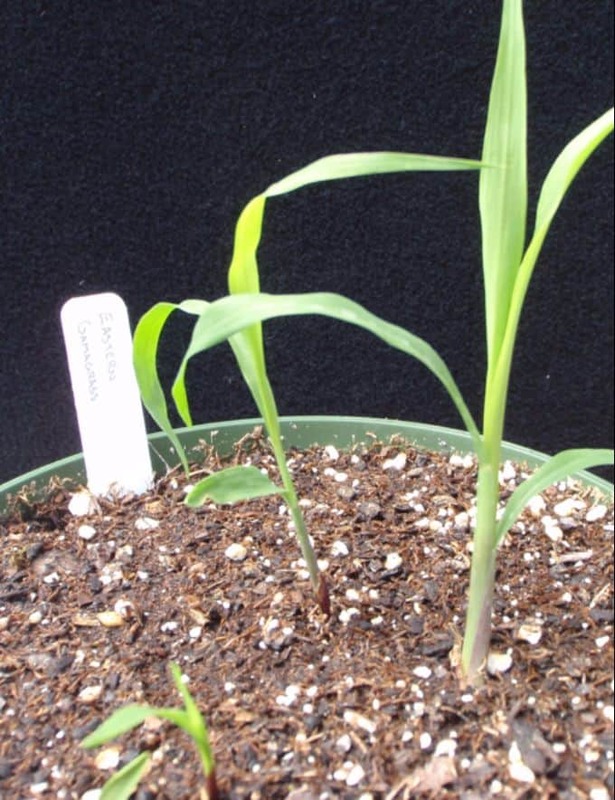 Because of the high seed dormancy issues associated with Gamagrass see “special considerations for planting” listed below. Eastern Gamagrass has shown be an excellent grass for filter strip, vegetative barrier, and nutrient management. The large robust plants have the ability to uptake excess nutrients and stabilize the soil in many applications. Eastern Gamagrass has a high degree of seed dormancy. 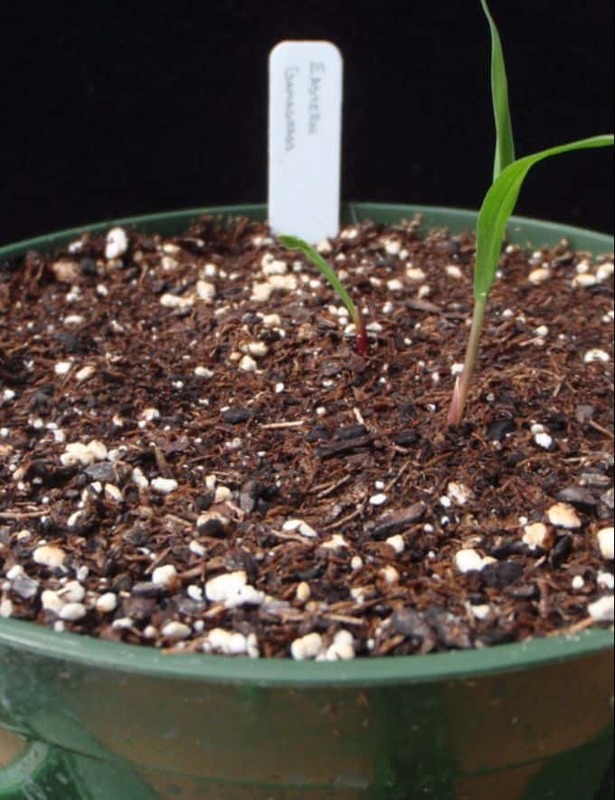 For acceptable stand establishment the seed must either be artificially stratified or planted in the fall-early winter when soil temperature is below 50 ºF and it can be naturally stratified. A frequently used technique for artificial stratification involves soaking seed held in a burlap bag in a 1% fungicide solution for 10 to 12 hrs. Allow the solution to drain from bag and store for 6 to 10 weeks at 35 to 45 ºF. Remove seed and plant while seed is wet.